"Why do we look at photographs? What drives the compulsion? I think there are several answers, of course. But chief among them is a desire to see things we haven't seen, to understand the world through someone else's eyes. Perhaps to read a visual language that will impact our own vision. Celine Clanet's book Maze contains a set of photographs made among the Sami culture in Northern Norway, at the outer edge of Europe. She is not from there, but managed to ensconce herself enough among the locals that the images have a ring of authenticity. And they are lovely, to be sure. " -- from Jonathan Blaustein's review of Maze with photographs by Celine Clanet in photo-eye Magazine. 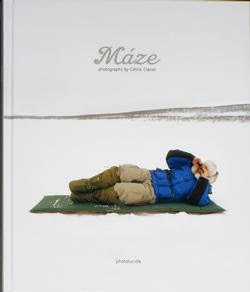 Purchase a copy of Maze by Celine Clanet here.